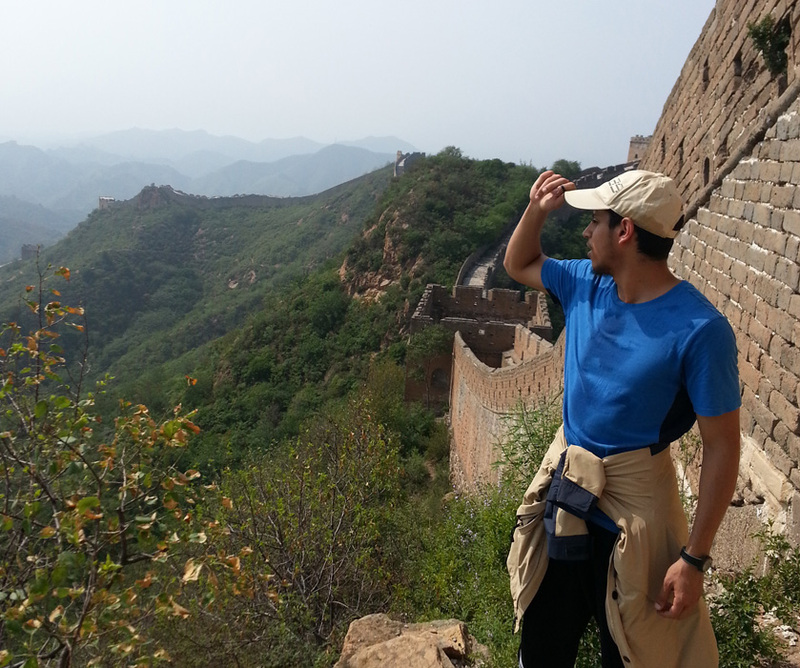 Mohammad Almagweshi visited the Great Wall of China during his summer study abroad in Beijing. A daring descent to a scenic beach near Dublin and a conversation in Mandarin at a curry shop in Beijing were memorable for two Chemical Engineering students who studied abroad this past spring and summer. Michaela Wentz ’17 spent her spring semester at Trinity College in Dublin, completing courses to fulfill humanities requirements here. Mohammad Almagweshi ’18 accomplished the same thing this summer through the Beijing - Summer Language Intensive program offered by IES. Both came back with much more than a handful of credits, however. Like slipping and sliding with a friend down a steep slope to that beach near Dublin. Mohammad arrived in Beijing with “zero” knowledge of the language. But with the help of friends and the Mandarin language classes he was taking, he soon felt confident enough to walk up to a curry shop and say, in Mandarin, "I want chicken breast curry over rice." Michaela Wentz at CERN in Switzerland.